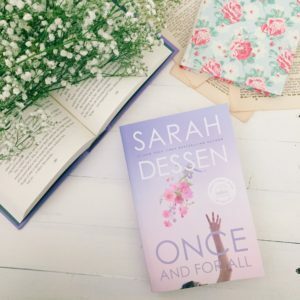 Once and For All was my first Sarah Dessen book. After reading it, I just want to read more of her books. This one was so good that it had me laughing, crying, and contemplating life. I loved all the characters and I especially loved the plot. The synopsis didn’t give me much to go on, so I went in expecting a cute, happy, lovey-dovey romance. There was some of that, but I was not expecting the sad moments. Louna’s story is a heartbreaking one. I guessed at the outcome early on, but actually reading it made me cry. I kept telling myself no, stop, don’t continue, but I was enjoying the story so much that I continued and my heart broke for Louna. After what she went through her character growth was noticeable by the end of the book. I was really glad for Ambrose, Louna’s love interest. I can definitely see some people thinking he’s annoying, but I found him cute, funny, and endearing. He was the comedic relief I needed after some of those sorrowful moments. I was actually laughing out loud because of him at some points. I loved his positive and carefree outlook on life. He was exactly what Louna needed. One interesting aspect of Once and For All that I ended up enjoying more than I thought I would was the wedding planning business. This whole book is centered around the wedding planning business Louna’s mother, and her partner William, run. Louna helps her mother throughout the book during these weddings and I thought it added a nice touch to the story. Once and For All definitely kept me wanting to read more contemporary romance and more Sarah Dessen. I’m excited to see more of the wedding planning business! Can’t wait to read it! It was really interesting to read about. Hi, Samantha! 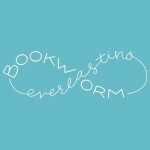 I really like your blog it’s so neat and clean and I just love it. I’ve never read a Sarah Dessen book before and your review made me more interested and I might pick up this book or even one of her other books that I hear are really good. Thank you so much! Let me know which one you go with, and if you end up liking it. I hope you do!